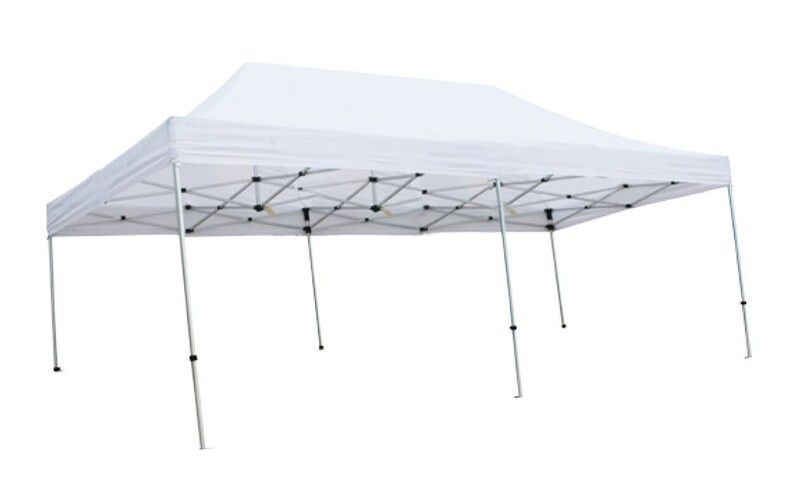 The portable 20' Canopy Tent is a great way to provide a large shelter are at outdoor events, as well as being an excellent way to promote your brand or market a product or service. 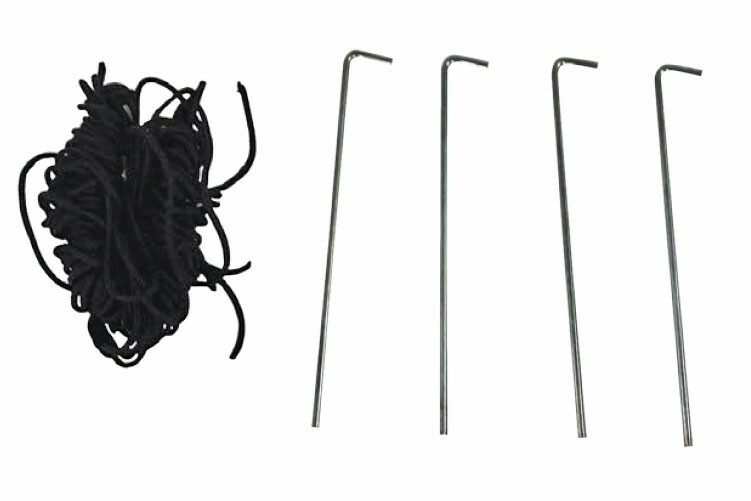 Portable 20' Canopy Tent kits cinclude the frame, stakes, guy ropes, rolling carry bag, and printed canopy top. 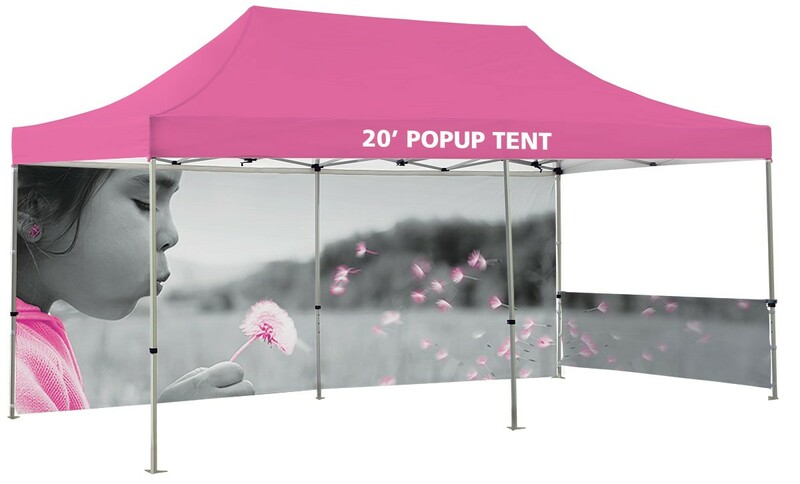 The portable 20' Canopy Tent is a great way to provide shelter at outdoor events, as well as being an excellent way to promote your brand or market a product or service. 10x20 Canopy Tents have a fully custom printed canopy top that provides a large area of shade for products or customers, as well as large graphic area that is sure to attract attention at fairs, exhibits, concerts, festivals, farmer's markets, or any outdoor venue or marketing event. 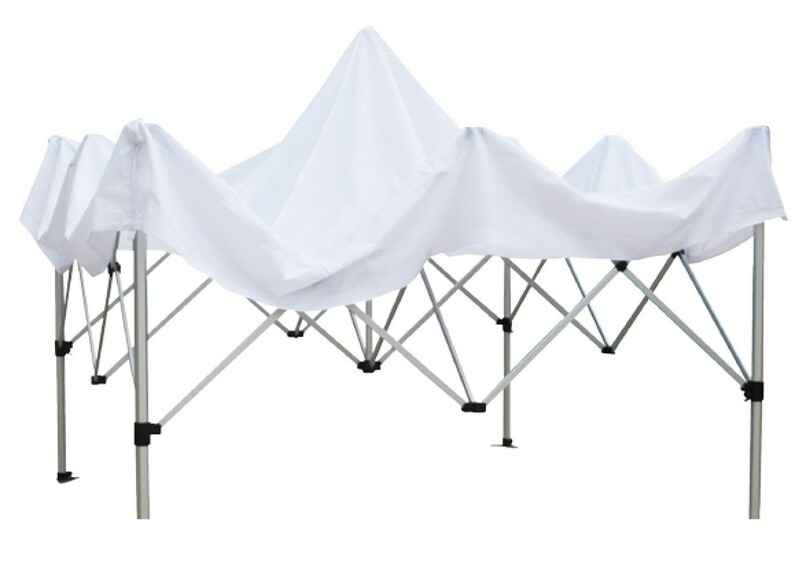 20' Canopy Tents feature a lightweight aluminum frame that is durable and easy to set up, although it does require two people. 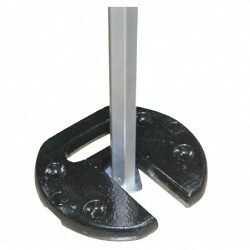 The frame features hexagonal legs for extra strength compared with standard square shaped legs. 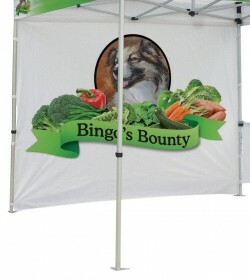 Custom printed canopy tops are digitally printed in full color on 6.5 oz outdoor canvas. 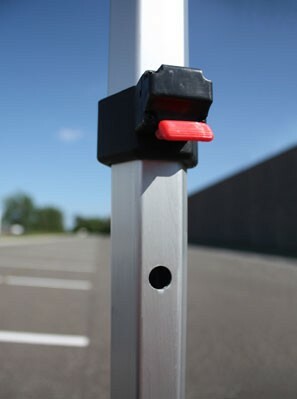 Full back and side walls, and half walls are also available to provide protection from the wind, or to give you additional places to display logos and messages. 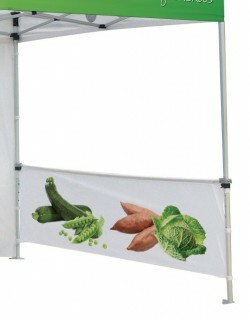 Portable 20' Canopy Tent kits cinclude the frame, stakes, guy ropes, rolling carry bag, and printed canopy top. 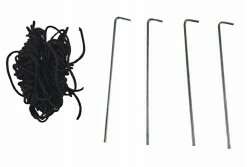 Full and half wall kits are sold separately, as are optional weighted base plates and replacement canopy tops and walls. Frame Shipping Dimensions: 65" x 18" x 10"
Visual Area of each 20' canopy side: 228" x 81"
Visual Area of each 10' canopy side: 115" x 81"
Canopy Shipping Dimensions: 24" x 14" x 8"
Canopy Shipping Weight: 10 lbs. Custom printed panels are printed on 6.5 oz outdoor canvas.